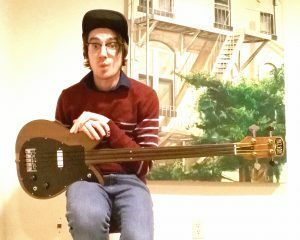 The first fretless Coquette bass! Every time I bring this bass to a session, people have no idea what to expect from it. After I use it, they demand to know where it came from. The tones that this thing are capable of producing are all over the place and cover most genres. This is all thanks to the combination of the unique pickup and tone stack combination. Sound aside, this bass looks and feels incredible. The weight is perfectly balanced throughout the instrument, and is VERY light. I have access to the entire scale without getting jammed up by any awkward cut-away. The body shape is reminiscent of a flower, and is about the same size as an electric guitar. As a guy who is 5’5″, this means I don’t looked dwarfed by my instrument. All in all, this is my favorite bass that I have ever had the pleasure of calling my own. I can’t wait for my second one!